Your first visit to Oswego Family Dentistry establishes a vital foundation for our relationship with you. During the first visit, we make sure to obtain important background information, like your medical history, and give you time to get to know Dr. Nylen. To understand what to expect for your first visit to our practice, please read through this page. You'll find all the practical information you need, such as a map and directions to our office, practice hours, payment policies and more. There's also background information about our committed staff and our first visit procedures. You can even save some time at your first visit by printing out and completing the patient forms in advance of your appointment. 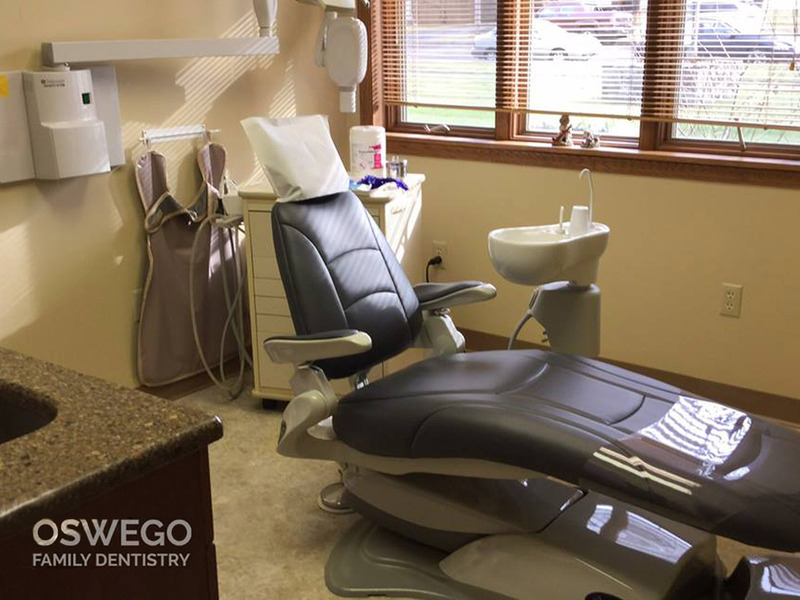 At Oswego Family Dentistry our goal is to provide our patients with top quality dentistry in a caring, comfortable environment and to improve the health of the families in and around our Oswego Community. We the staff of Oswego Family Dentistry are proud to have been part of the Oswego community for over 25 years. At our office, your health, safety and comfort are important to us. Using state of the art equipment, advanced techniques and the latest dental materials, we are able to provide you and your family with expert and relaxed dental care. Our team at Oswego Family Dentistry will welcome you into our friendly, safe and comfortable environment to meet all of your dental needs. Through our commitment to continuing education we look forward to providing you and your family with the high quality care you have come to expect and deserve. Being well-prepared for your appointment will ensure that Dr. Nylen has all of the needed information to provide the best possible care for you. It also will help relieve any unnecessary anxiety you may be feeling. Educate yourself on your symptoms by reviewing the content on this Web site. Also, take some time to review our staff page and familiarize yourself with the staff. We look forward to your first visit.